NO PROJECT TOO SMALL OR TOO LARGE FOR OUR TEAM! 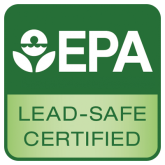 Approved for Remediation services under State and Government contracts. Native Environmental of Arizona specializes in industrial cleaning services for commercial and residential projects, featuring home asbestos remediation with removal of asbestos from all ceilings and walls, mold remediation, microbial decontamination and containment, hydro-blasting to remove hardened layers of hazardous and non-hazardous floor coatings, stripping of lead-based paint from roadways, proper clean up of all project debris via trucks and waste disposal containers, and much more. Native Environmental is centrally located in Phoenix, Arizona and provides full-service industrial cleaning services such as mold cleanup and asbestos removal. We offer 24 Hour Emergency Mold Removal Services. 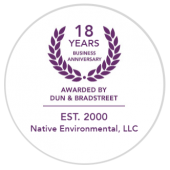 Native Environmental is a licensed and bonded, and is approved for remediation services under state and government contracts. Native services All of Arizona, Phoenix and surrounding valley cities including Scottsdale, Chandler, Mesa; and also contracts for many remediation projects in nearby New Mexico, Colorado, Utah, Nevada and California. 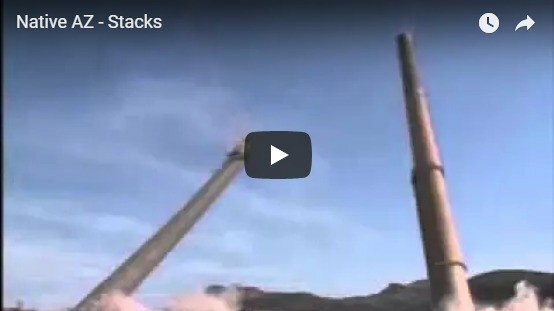 Past projects include nuclear generating stations, hospitals, multi-tenant high rise projects, large scale commercial projects, and government land projects. Additional services offered: 24 hour emergency services, soil remediation, site demolition and dismantling, PCB ballast capacitor removal and disposal, hazardous waste removal and disposal, and mercury bulb removal. Industrial cleaning equipment and machinery, trucks and containers and by using new technology like our NLB Hydro Blasting machinery. Native Environmental remains on the cutting edge of environmental remediation technology – providing efficient and cost effective methods for approaching your complex environmental remediation needs. For quick response to the entire southwestern United States with an emphasis on Arizona, California, New Mexico, Nevada, Colorado and Utah. Native has performed environmental remediation services in 32 states around the country, teaming with a high profile list of general contractors, demolition contractors, and consultants to respond to planned environmental remediation issues and unplanned events such as fires, hurricanes, and floods. Our Staff is equipped to handle many emergencies including: Residential Cleanup Projects and Large Commercial Asbestos Removal Projects anywhere in the Southwest United States and Phoenix Valley! We can staff projects quickly and effectively with trained and certified personnel who have the experience necessary to make your project a success. Our office staff is made up of Owners, Project Managers, Estimators and Administrative personnel that have worked in many facets of the environmental industry and are able to provide sound technical advice and work plans that will ensure that your project is adequately staffed and running smoothly from the first pre-job submittals until the last retention payment is billed. Our goal is to help you achieve a successful Industrial Clean up project on your terms and on your timeline. No Project Too Small or Too Large! 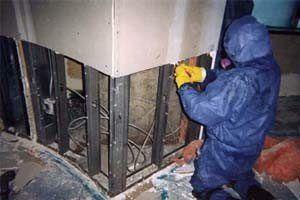 Learn More About Asbestos Removal Services. Learn More About Mold Removal And Mold Cleanup Services.